Syuzanna received her Master's degree in Chemistry from Yerevan State University, Armenia, after which she moved to Moscow, Russia, in 1999 to undertake her PhD under the supervision of Prof. Belokon. 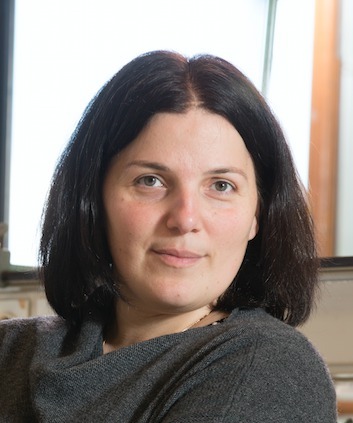 After spending several months in 2002 as a visiting scientist in Warsaw, Poland, working with Prof. Grela, Syuzanna joined the research group of Prof. Feringa at the University of Groningen, the Netherlands in 2003 as a postdoctoral Research Fellow. In 2007 Syuzanna joined the Process&AMP;Development department at Janssen Pharmaceutica, Belgium. Syuzanna started her independent research career in 2010, when she was appointed as a tenure-track Assistant Professor at the University of Groningen. In 2013 she was tenured and promoted to Associate Professor (adjunct hoogleraar) and in 2018 to full professor at the University of Groningen. Syuzanna’s research activities include synthesis, organometallic reactions, catalysis, enantioselective transformations and autocatalysis. Her research achievements have established her as one of the key players in copper chemistry. Syuzanna's work has been recognized by two recent major awards, namely the KNCV Gold Medal 2016 from the Royal Dutch Chemical Society, the premier prize for researchers in the chemical sciences in the Netherlands, and the Royal Society for Chemistry's Homogeneous Catalysis Award in 2017.